The driving force that plays a significant role in Google algorithm update is always the same – to provide users with better and more refined searches pertinent to the questions asked. And this aspect has been further highlighted by the launch of Google Hummingbird. Now don’t confuse Hummingbird with that of Panda or Penguin. Hummingbird focuses more on the entire search result – the way the relevant data is pulled out of the search engine. With more than 90% of the search being effected Hummingbird is a big deal when it comes to a site’s ranking. As per Google, this hummingbird does not focus on the conversational search i.e. bits and parts of a search string rather the whole of it. So is your business really affected? Do you need to change your content marketing strategy in such a scenario? Well it depends on how your market your content. 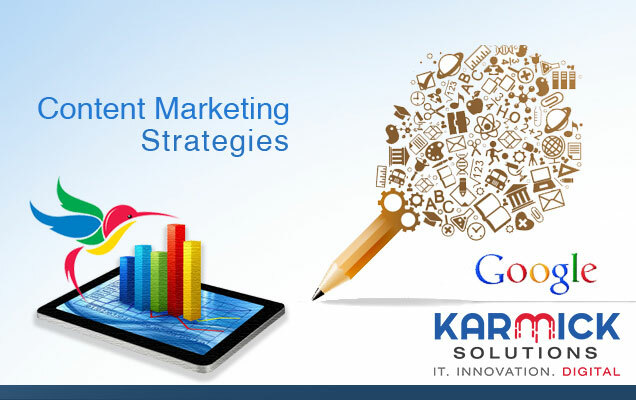 Using a content that is not only useful but also answers any question that the searcher has asked is more valid and in turn will result in a better ranking for the site. The number of people searching content in the form of a question is on the rise. As a result if your content answers one of the questions it has a better chance of being pulled out in the search. This is also applicable in case of those contents as well where the subject matter is specific. 46% of the net surfers comprise of the searches made from a mobile, hence having a site that is optimized for the mobile is more of a necessity rather than a mere passing phase. Those who make searches on the go are more in the lookout for an answer to a question (it can be on anything) hence having answers to queries in your content is the key. Will the different Social Medias play a significant role? For years it has been a debatable topic as to whether Social Medias are taken into account by Google when it is conducting a search. If truth be told then there is no definite answers. But it is advisable that one makes use of the different Social Medias to create awareness. After all building a positive reputation for your business across multiple platforms is an integral part of online marketing.